With Cook in Bag or Sous Vide foods are vacuum-sealed in plastic pouches, then cooked to perfection in the bag which is made possible due to the films retort properties. 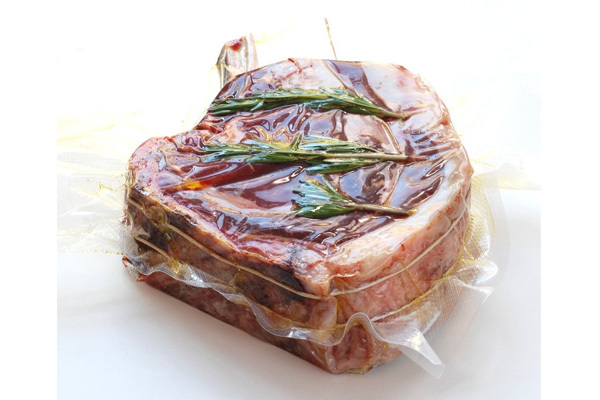 Our Cook in Bag films provide an airless environment which prevents the growth of micro-organisms, offering a very safe and hygienic method of storage perfect for meat, fish, poultry, cheese and fruit products. This means producers can store and preserve food for several days longer without any deterioration in quality. We supply flow wraps suitable to go directly into the Microwave or convection oven which are suitable for freezing and cooking at temperatures up to 220°C. These materials can be fully printed using inks suitable for oven use. Our materials have been tested and approved independently by Camden BRI for high temperature cooking applications.